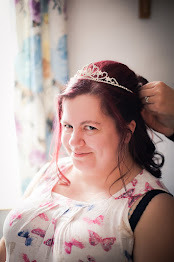 In January, I did something super-scary. Something I'd been dreading for months. I attended my first group therapy session. As a reward for getting through it, I treated myself to a cute AF unicorn plushie, and a Me To You cake! 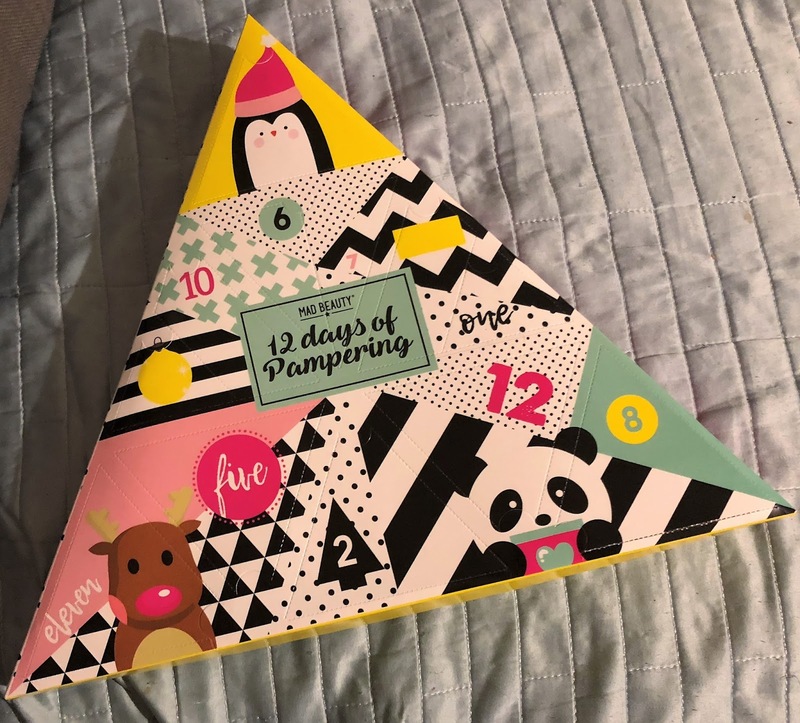 I picked up this Mad Beauty 12 Days of Pampering Advent Calendar from ASOS in the January sales. Because I had a £5 voucher, I only had to pay postage for this, my first ever beauty advent calendar. And what a bargain! 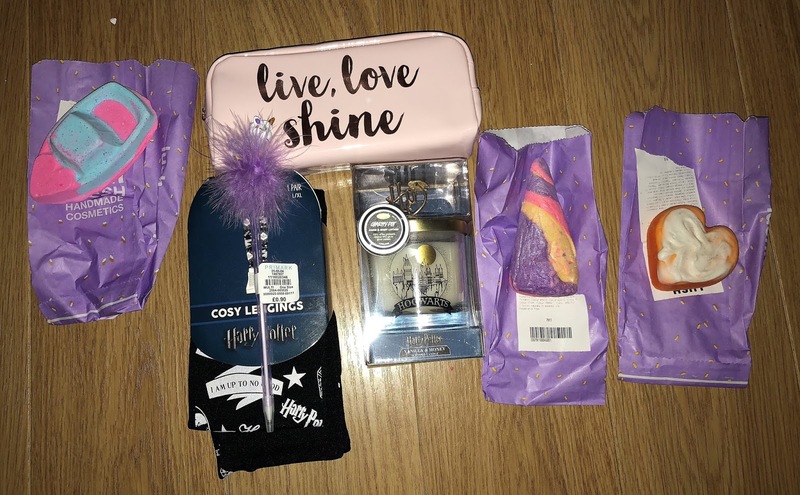 All of this was included in the Mad Beauty 12 Days of Pampering Advent Calendar. From left to right; body wash, bath salts x2, body lotion, nail files x2, lip balm x2, hand cream, bath fizzers x2, shower puff. Just a little Amazon haul. And yes, I was far too eager to use my Hufflepuff mug and so took a photo of it after I'd drained it of tea! 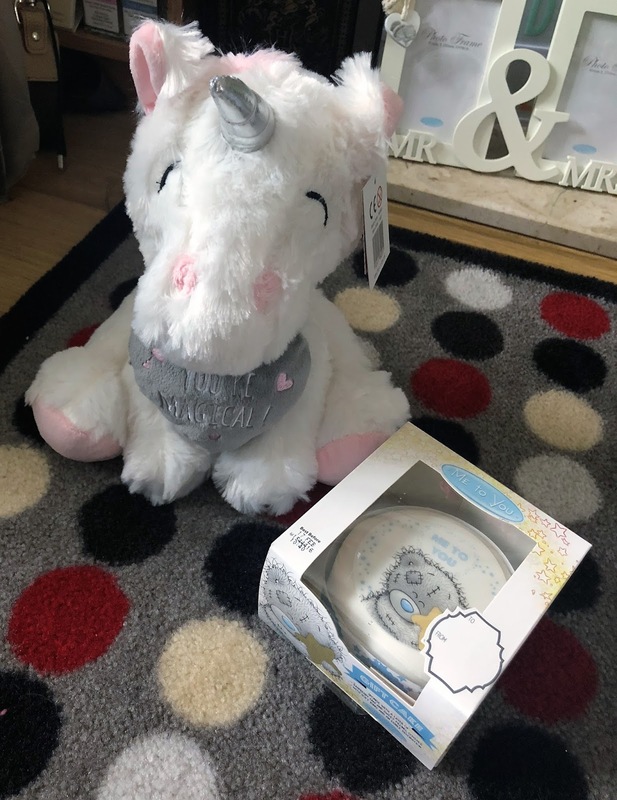 I've had this Me To You Unicorn Onesie Bear on my Amazon Wishlist for months, and I finally decided to treat myself to it. Also, lots of books! Remember Me When You're Sad by Maggy Van Eijk was recommended by the lovely Steph, and I'm really excited to read it! New pillows! 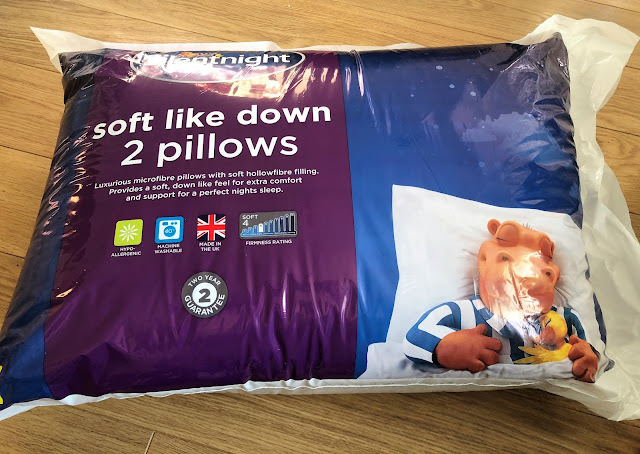 Friday night suddenly became very exciting; with the arrival of new pillows, and clean sheets. It really is the little things in life, guys. 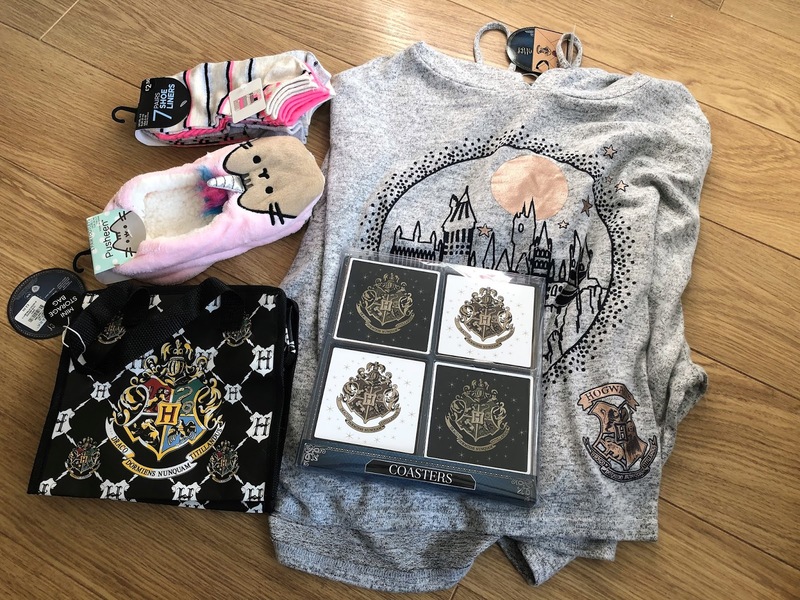 More Harry Potter goodies from Primark! These coasters are stunning. And this hoodie is so soft and super comfortable. 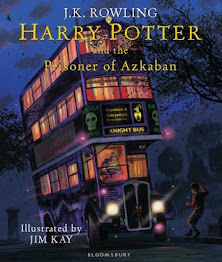 I couldn't resist the Harry Potter lunch bag either. It'll be so useful for when I'm working in the office! I also picked up some Harry Potter Cosy Leggings which, since wearing them, are worse than tights. So uncomfortable. I spent most of the day pulling them up! This Harry Potter candle though? Smells amazing; vanilla and honey, I think. Gorgeous. I'm disappointed with the Lush Valentine's Day collection, but I still found a few bath bombs and bubble bars I wanted! 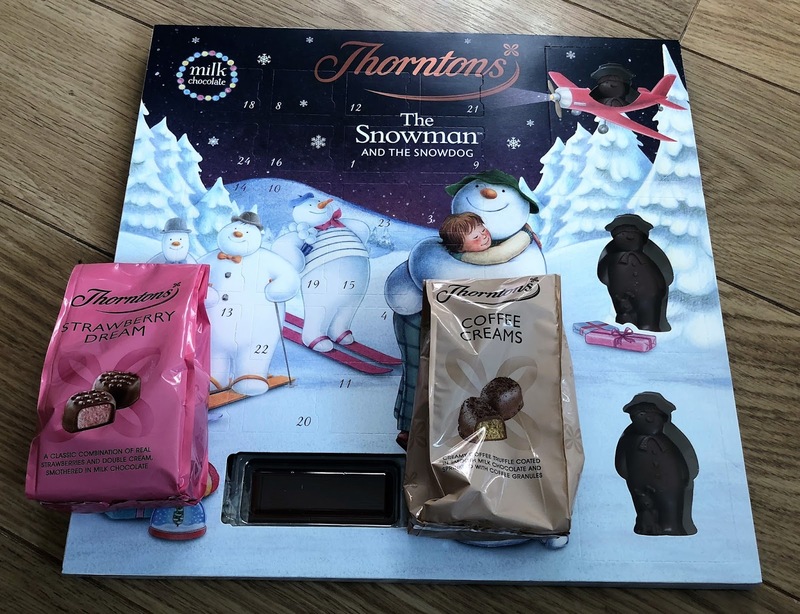 Thornton's Advent Calendar for just £2 in the January sales? Well, don't mind if I do. Strawberry Dreams are my favourite Thornton's chocolates. Coffee Creams are my husband's. 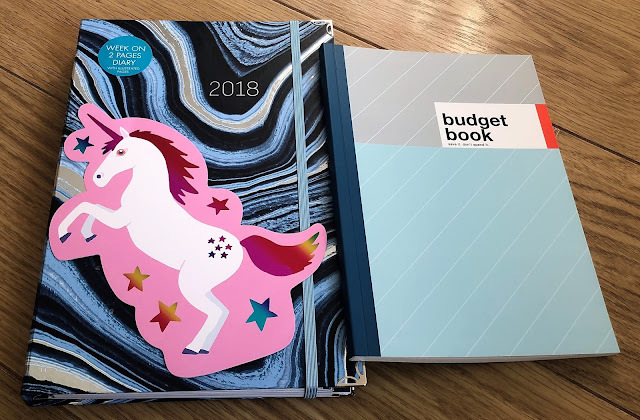 Yes, I bought another 2018 diary. Did I really need it? No. I have two already. I love this unicorn postcard, I just need to decide what to do with it now! I really, really love Foaming Shower Gel. 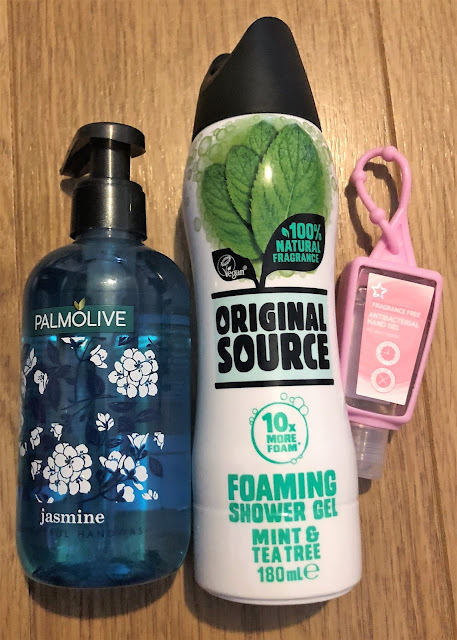 I have Imperial Leather Foaming Shower Gels already, but I was keen to try Original Source's new Foaming Shower Gel, too. This Antibacterial Hand Gel is very handy (pun intended) in a holder that you can attach to your belt or key-ring. I keep mine on my car key-ring. 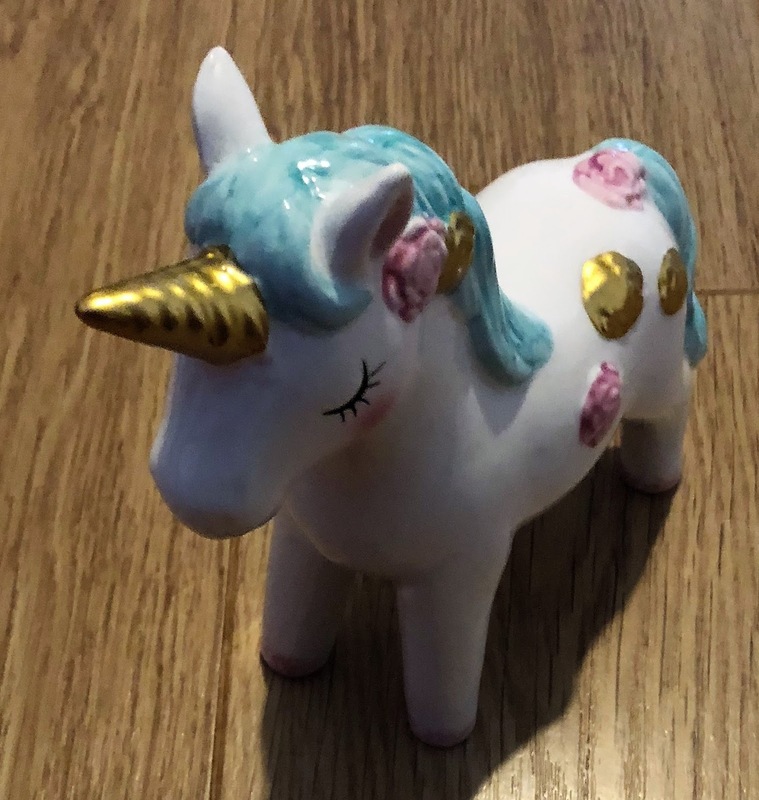 I saw this adorable unicorn ornament in Asda for just £5. It was the last one left on the shelf, and I couldn't really leave him behind now, could I? 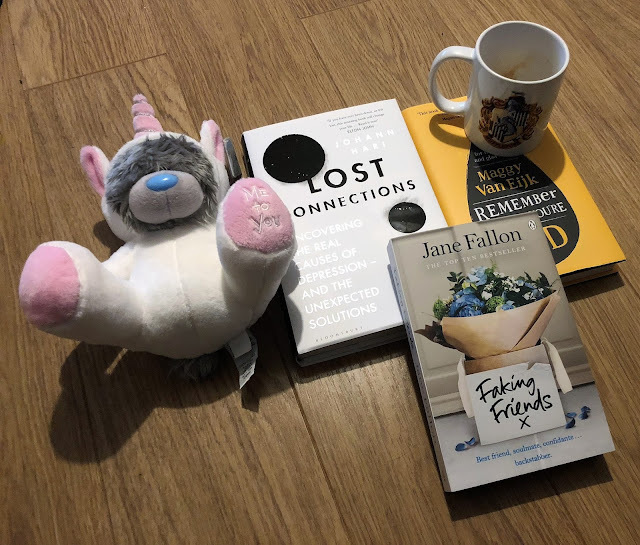 When I was out for brunch and book shopping with the lovely Steph a few weeks ago, she introduced me to an adorable trinket shop. 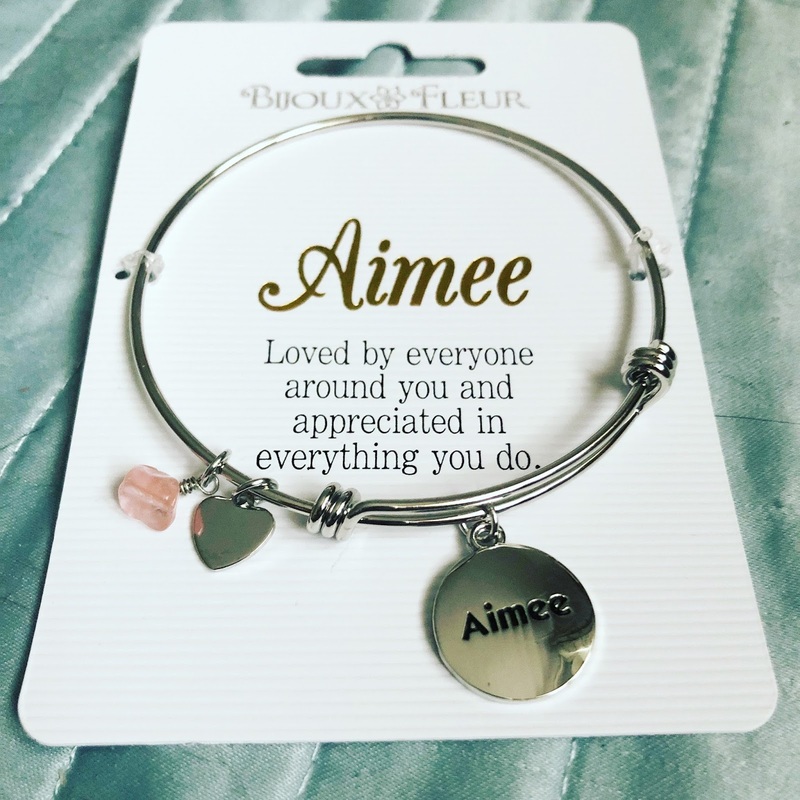 And I was shocked to find a bracelet with my name on it; correct spelling, and all! Of course, I had to buy it. Especially after squealing with excitement upon discovery! And, finally, a little book haul. All these books are second-hand, from my local charity book-shops. Some great finds; I'm particularly looking forward to reading The Snowman by Jo Nesbo. I know I said this post would be a little shorter than previous posts, but I think it was actually plenty long enough in the end! Hope you enjoyed this post. Let me know what you've been buying lately in the comments. Thank you - I am all about the Harry Potter bits! Isn't it? It's my fave. Sad, flat pillows are the worst!